Video Editor SDK that allows users Drag & Drop to arrange clip orders, edit movies, apply effects & transitions with C++, C#, VB.net , VB, Delphi, VFP, Access. 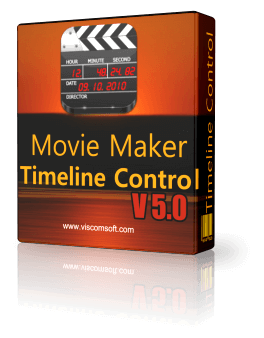 Step 1: To install the Movie Maker Timeline Control, begin by launching the setup file (http://www.viscomsoft.com/demo/moviemakersetup.exe). Select the desired installation folder for the Movie Maker Timeline Control and continue with the installation on your development computer. Step 2: Run our VB.NET, C#, VC , VB6 Sample. Step 3: It crash immediately when the project run. Step 4: Searching PanZoomFX.dll file in your computer, if found it. call regsvr32 /u command to un-register PanZoomFX.dll in dos prompt. make sure you have admin right when run the dos prompt. e.g. you found PanZoomFx.dll in C:\Program Files (x86)\VideoEdit Gold ActiveX Control folder. type regsvr32 /u "C:\Program Files (x86)\VideoEdit Gold ActiveX Control\PanZoomFx.dll" in dos prompt with admin right. Step 5: Run our VB.NET, C#, VC , VB6 Sample again, it will not crash now.